Great happy and bright card with quality paper and card. 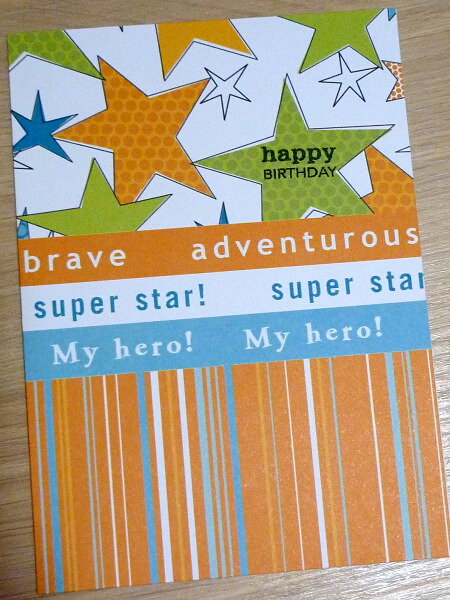 Features star and stripe print paper with the wording super star! My hero! brave adventurous. Great for Dads, brothers, sons, uncles - anyone! All my cards are hand cut and created - thanks for looking! Once payment is received, the items will be sent to you - normally the next day!